Jeff was raised on a farm where doing home repairs and barn raisings were part of his upbringing. Nearly three decades of professional construction management and carpentry experience, including a five-year apprenticeship under a German cabinet-maker, prepared him well to lead our worksites since 1998 with organizational finesse. 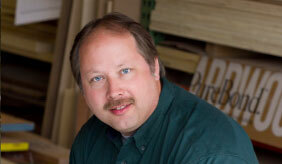 Jeff’s hobbies of woodworking and architectural photography are natural extensions of his professional skills. According to this married father of three, “The difference between a Brenner Builders home and any other high quality house is in the details — whether those details are structural, decorative, organizational, or pertain to how we interact with the homeowners. Getting the details right means working in harmony with everyone involved.” Jeff is an NAHB Certified Green Professional.